The first city in Texas to ban hydraulic fracturing tells a court it has every right to do so, calling the oil and gas extraction technique a “public nuisance” with "offensive results." "The suit is premised on the [Railroad Commission of Texas] completely occupying the field of regulation," said Jim Bradbury, a Fort Worth-based lawyer who focuses on environmental and energy issues. "Denton is rightly seeking to have them identify the actual regulations that supposedly occupy the field." 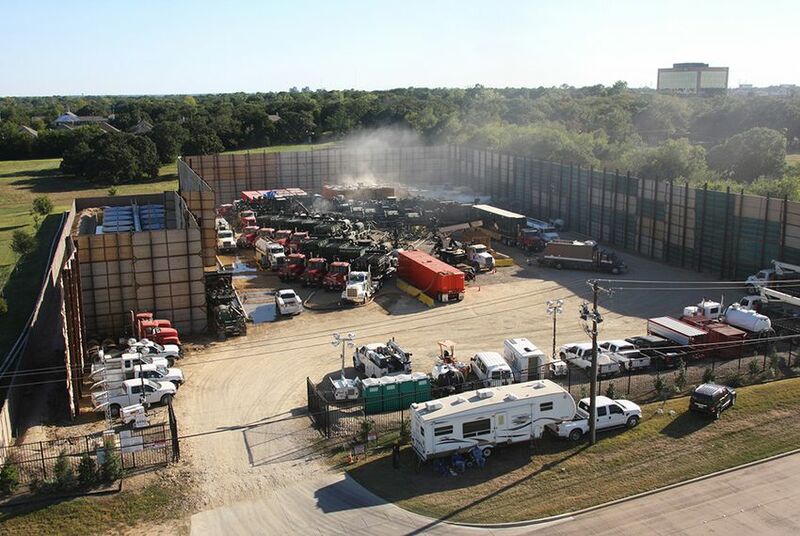 Denton’s measure does not prohibit drilling outright; it would apply only to fracking, which involves blasting apart underground rock with millions of gallons of chemical-laced water hauled in by trucks. But opponents of the ban say it would make gas beneath the city too difficult to profitably tap – amounting to a drilling ban. It is unclear where fracking falls on that spectrum. The lawsuit is one of two challenges Denton faces in the aftermath of its vote. The Texas General Land Office filed a lawsuit in Travis County, saying the ban threatens the state's royalty interests, which flow into the $37.7 billion Permanent School Fund. On Monday, Denton’s attorneys asked to move that suit to Denton County, arguing it’s a “mandatory venue” for a case concerning property interests there. Three private law firms are helping the city defend the ban. Denton officials say they can tap a $4 million "risk fund" for such matters.